It’s AMD World Championship time. 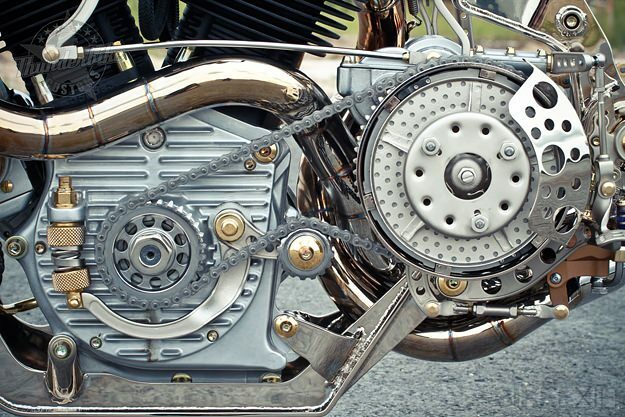 The annual freak show held at the Sturgis motorcycle rally reveals the best and worst of the traditional custom world, including many sphincter-tightening lapses of taste. There are signs of sanity amongst the Big Hair and leather vests though. 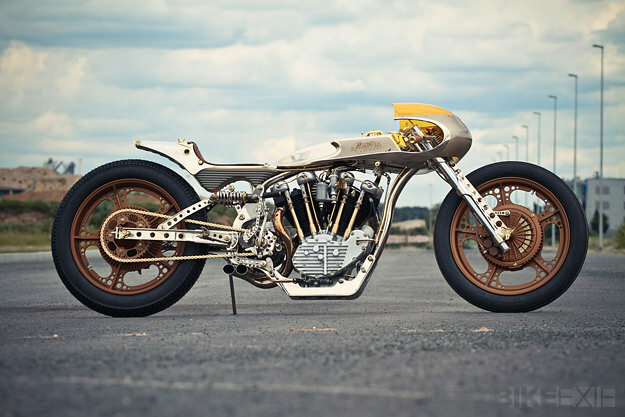 And this year’s winner, from Thunderbike, is a definite step in the right direction. 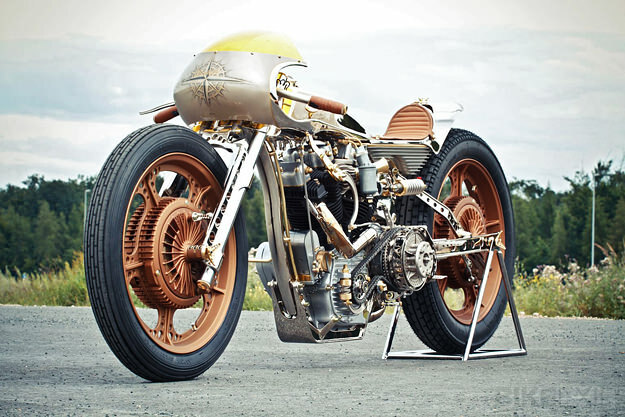 Thunderbike is one of Germany’s most prolific builders, and has a Teutonic obsession with craftsmanship. The winning bike is called “PainTTless”—yes, it loses something in the translation—and it’s a tribute to inter-War salt flat racers. 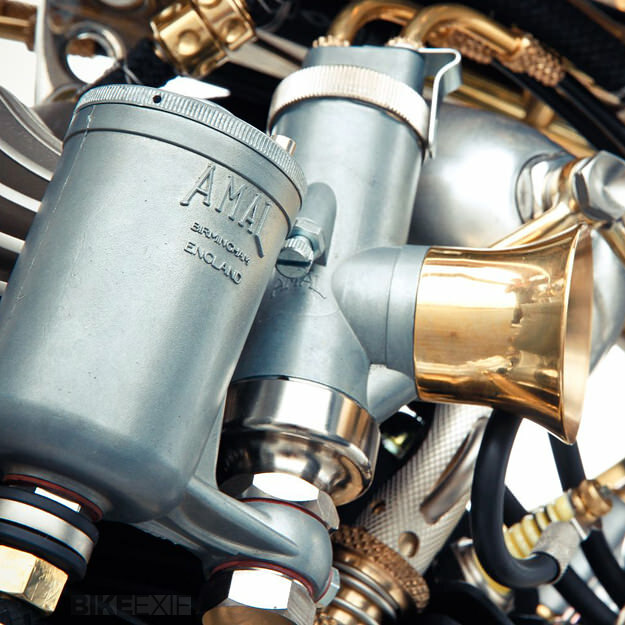 Built around a 1984 Harley Ironhead motor, it’s a diminutive machine running Amal Monoblock carburetion and Bosch ignition. The transmission and primary are from a much older WLA, but everything else—from the frame to the bodywork—was created in-house. That even includes the 19” wheels, shod with Avon and Heidenau rubber. The tactic has paid off, and the boys from Hamminkeln are nursing world-class hangovers as we speak. 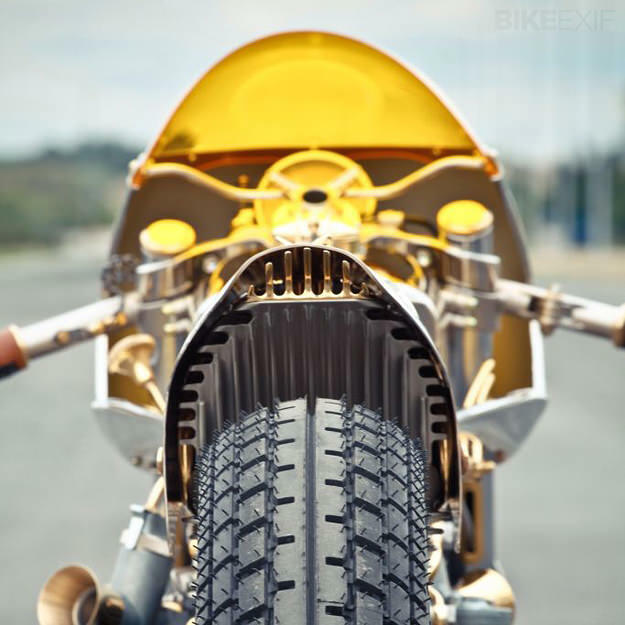 Check out their website for previous builds, and follow their Facebook page for the latest Thunderbike news.